Sega of America took down the trailer, so I rehosted it for your convenience! 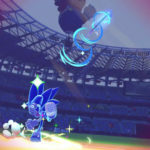 Sega just released the HQ assets, including transparent PNG logos, HD versions of the two primary Switch screenshots, as well as the HQ version of the trailer with less compression. I made new screencaps from the HQ version of the trailer. 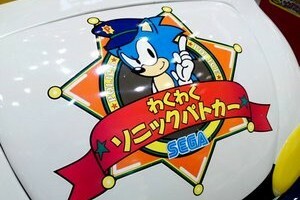 Sega have just announced the western release of the games. 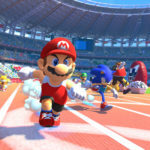 The Mario & Sonic game for Switch is now called Mario & Sonic at the Olympic Games Tokyo 2020. 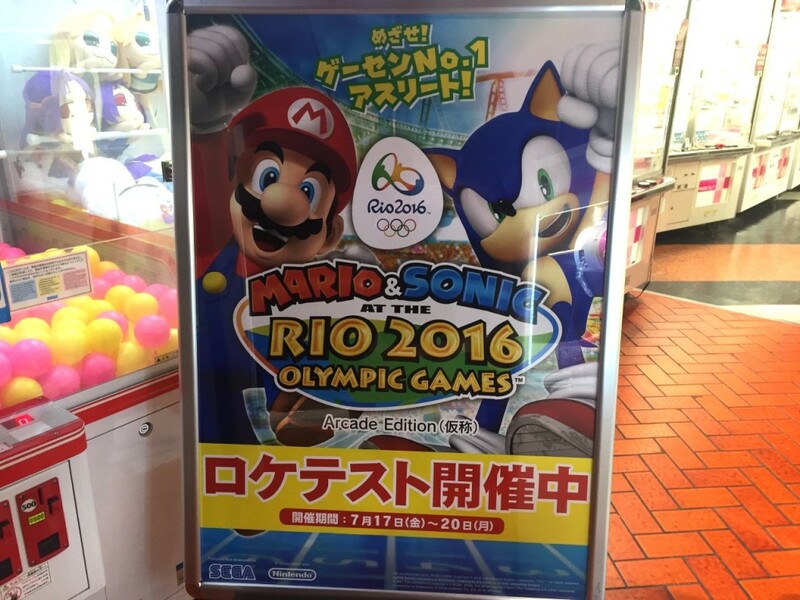 The arcade game of course is titled Mario & Sonic at the Olympic Games Tokyo 2020 – Arcade Edition. 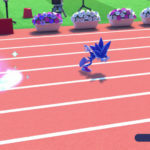 Finally, the mobile game is titled Sonic at the Olympic Games – Tokyo 2020. 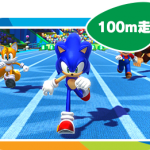 For some reason, the Tokyo 2020 branding is missing from the logos, but the games are titled as such on the website as well as by Sega in their announcement tweet. 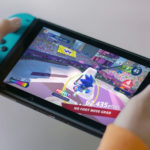 All seem to still be published by Sega in the west (a first since London 2012), in fact Sega are publishing the games worldwide, which is a first in Japan where Nintendo published the Mario & Sonic series to date prior. 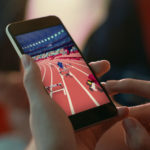 Also, the arcade and mobile games are now dated for Summer 2020 in the west, rather than just the generic 2020 date in Japan. Check out the western website here. 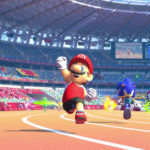 At the SEGA FES 2019 event it was announced that the Mario & Sonic series will return with Mario & Sonic at the Tokyo 2020 Olympic Games for Switch. 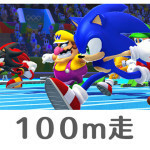 Not only that, a separate arcade game, simply titled Mario & Sonic at the Tokyo 2020 Olympic Games Arcade Game, was additionally revealed, alongside a Sonic-only mobile game for both iOS and Andriod; Sonic at the Olympic Games. 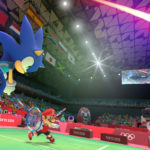 SEGA previously announced back in October 2016, that they had secured the gaming license for the Tokyo 2020 games, but no confirmation was made that the Mario & Sonic series would be returning alongside Sega’s other more photorealistic Olympic video games to tie in with the event. 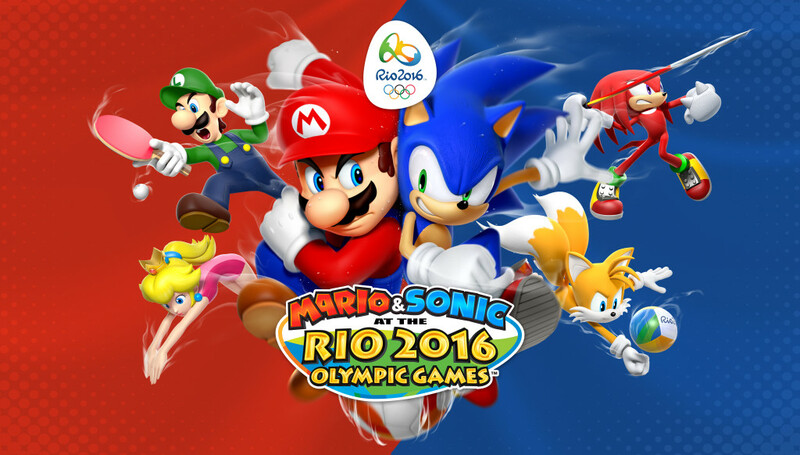 The title will be the 6th Olympic game title to feature Mario and Sonic following the Olympic game and Winter Olympic game titles. 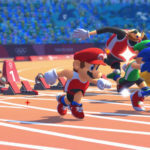 Via the official Olympic Video Games website, the Switch game is due to release in Japan in Winter 2019. The arcade game is due sometime in 2020. Finally the mobile game is also due in 2020. 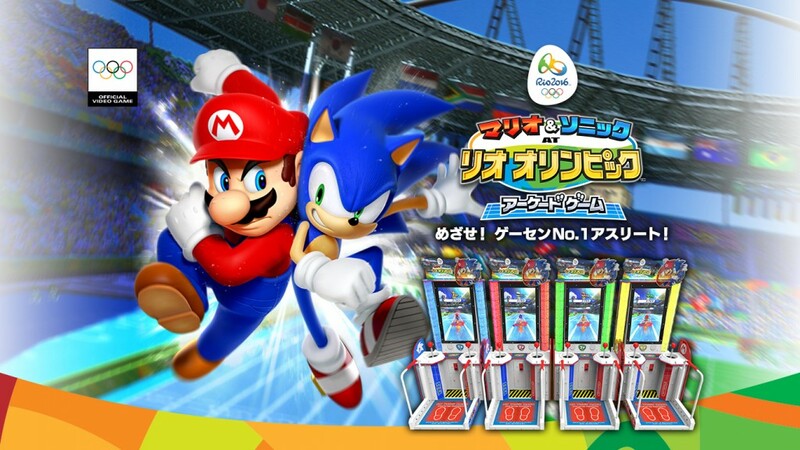 Are you excited to see the return of the Mario & Sonic Olympic series? let us know in the comments! Sega and Nintendo have finally opened the official Japanese site of the Arcade Edition of Mario & Sonic at the Rio 2016 Olympic Games, and includes footage from a variety of events in the game. 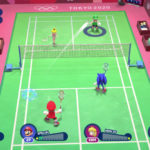 So far as playable characters go, we just have the usual characters including Mario, Yoshi, Sonic, Knuckles, Bowser, Peach, Eggman, Amy, Luigi, Wario, Tails, Shadow, Bowser Jr., DK, Metal Sonic, and Vector. The site teases at least four more to be unveiled, but naturally they’re surely to be any of the other known characters in the 3DS versions’ 40 total. 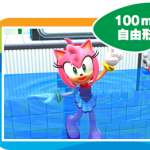 Among the events showcased is the classic 100m, which you can see below, with more in the events page. And just a few of the small screens provided below. There are quite a bit more shown when clicking on a character in the characters page. 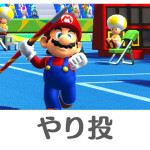 Via the Japanese website of the game. 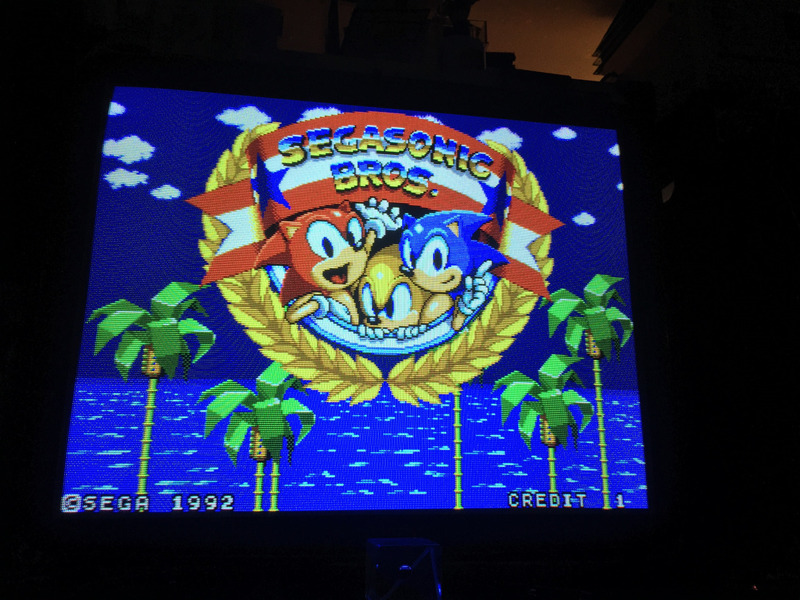 UPDATE: Unreleased Sonic Game SegaSonic Bros Found! UPDATE: This is starting to look more and more like the real deal, aside from old magazine scans supporting the claim, a second image has now come to light along with more details. It was created by the creator of Bubble Bobble, Fukio Mitsuji, apparently the game went to a location test and failed. Original Story: If this is a hoax, well done. If not… Oh my! 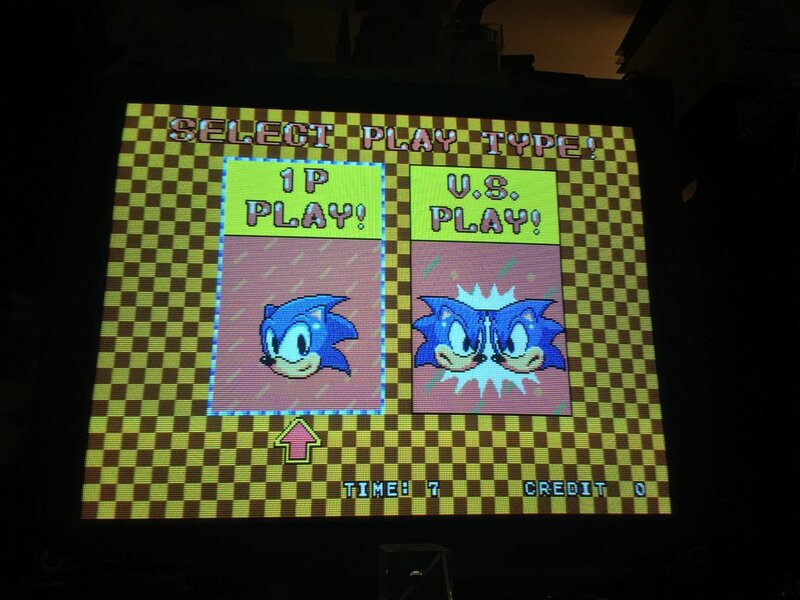 An unreleased, unknown Sonic game entitled ‘SegaSonic Bros’ has been found and a single photo shared online, now you might be thinking ‘anyone could have done this’ that’s right, however, when that someone is the same guy who recently found and dumped the SegaSonic Popcorn maker game, odds are it’s the real deal. No footage has been released yet, but we’ll be keeping a VERY close eye on this one. 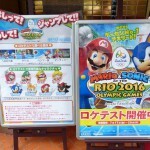 Above we have the first video (recorded by Arcade Heroes) from the IAAPA 2015 arcade event showcasing the arcade version of Mario & Sonic at the Rio 2016 Olympic Games already translated in full English. 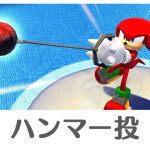 The video shows off the current roster of playable characters which at the moment are your expected norm, being Sonic, Tails, Knuckles, Amy, Eggman, and Shadow for the Sonic-side. As well as Mario, Luigi, Peach, Bowser, Wario, and Yoshi on the Mario-side. 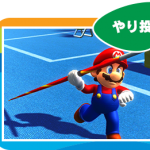 We also have a look at four activities in the game (100m, Archery, Hammer Throw, and Javelin Throw), the same four already known of before in an earlier report (which talked about the controls of each event). Each starts off with a tutorial screen that can be skipped. 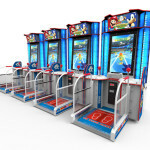 There will be two different cabinet releases; one with 4-player support which is shown in the video with the overhead displays and screens, and a 2-player version without the extra displays. 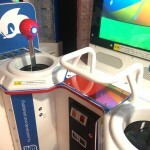 The arcade version actually indeed runs on Sega’s Nu arcade hardware, which is more or less a revision of Ring Edge 2. The arcade version is set for January or February 2016 in the US. The 3DS version is only scheduled for a February 18 2016 release in Japan, while the Wii U version has no date as of yet. 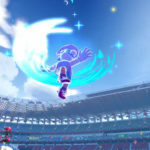 Famitsu put up a new post about the game (which Perfectly Nintendo translated), and also Sega opened up the official website for the game. It mostly just shows screenshots that were in a poster for the locatests mentioned before, and most importantly that the Arcade Edition actually has a release period set for Spring 2016 in Japan. 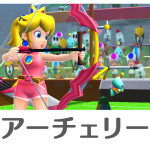 Could we see the Wii U and 3DS versions at the same time? Only time will tell. 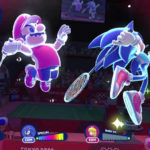 As a note, Sega are developing and publishing the Arcade Edition, but Nintendo is publishing the Wii U and 3DS versions worldwide. 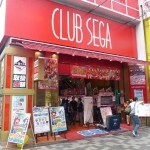 As said in the previous report, Sega are holding locatests from the 17th through the 20th at Club SEGA Akihabara and SEGA World Kasai, and so we have a peek at the game from 4Gamer with translations thanks to Perfectly Nintendo! Naturally info isn’t final and only refers to the current build they’re showing. 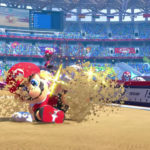 So we have 8 characters so far; Mario Luigi, Peach, Wario, Sonic, Tails, Knuckles, and Shadow, and of course each are of one of three types (Power, Speed, and Balanced), with Mario as Balance and Sonic as Speed, no way! We have four sports shown; 100 metres, Hammer Throw, Javelin Throw, and Archery. 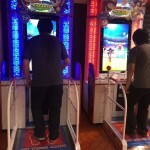 Now comes the Arcade bits; one credit costs 200 yen ($2 more or less), which allows you to play 3 sports and you’ll get the results at the end of the 3, and you can play with another person in local multiplayer here, and if you both pick different sports, they will be chosen randomly. 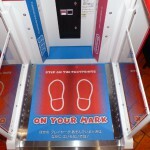 Controls are as follows; Your feet for events where you need to run. Two joysticks with a Start Button on the side. And a handrail to balance yourself while running for example. 100 metres – You use the stick to launch yourself before you start running and at the end you have to time a jump. 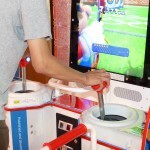 Hammer Throw – Press a button to hold the hammer, then you use the sticks to rotate the hammer, and then then you stop pressing the button at the right time to throw it. Javelin Throw – You start by running and use the right stick to control the angle of your throw. Archery – You have to throw arrows at nine targets, with more points awarded the closer the arrows are to the center of the targets. You use the left stick to aim, and use the right stick to use the bow to shoot the arrows. The trajectory is determined by how long you take to draw your arrows as well as weather conditions such as wind. As usual the game on Wii U and 3DS is due in 2016, and no date of any sorts was given for the Arcade Edition at the moment. 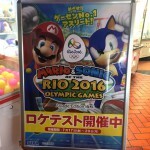 Mario & Sonic Rio 2016 also heading to… Arcades? Yeah, didn’t expect that did you? 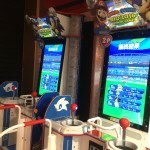 That’s what gamer.ne.jp is reporting (translated by Perfectly Nintendo), the game in some form will indeed be heading to Arcades, the announcement was from Sega and while we don’t have any info at the moment about the game, next week Sega will hold what are called locatests (which are beta tests for Arcade machines) on July 17th-July 20th at Club SEGA Akihabara and SEGA World Kasai. 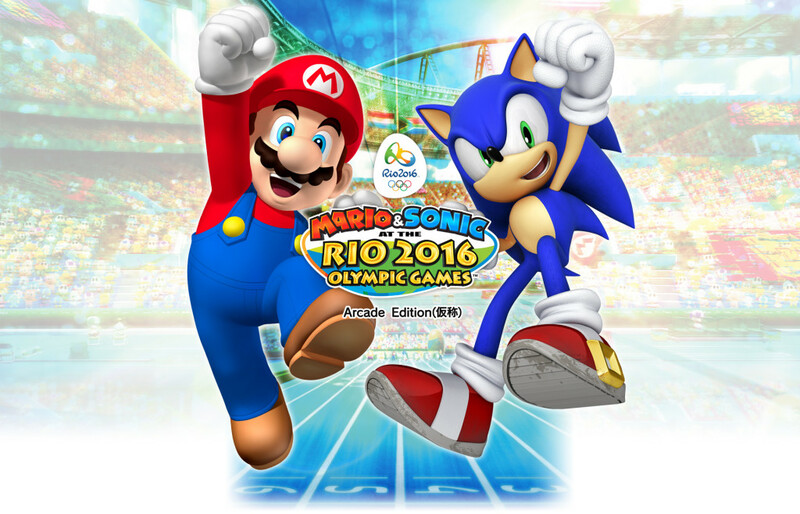 No release date was given for the Arcade version, which right now is titled Mario & Sonic at the Rio 2016 Olympic Games Arcade Edition, and no updates on the Wii U and 3DS version’s release date were provided either, which are due in 2016. So this came out of nowhere. According to what details we can gather from the picture and TC’s tweets, the game plays a lot like it’s mobile counterpart with one or two differences. Character selection is random, as is level stage. If you fail to beat the boss, it’s game over. 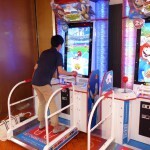 From what little information we can tell, the arcade machine appears to be made by ‘Sega Amusements’ and rewards the player by giving them prize redemption tickets. 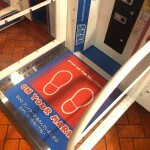 However, there are no details about the machine on their website. We do however have a location of this particular machine. 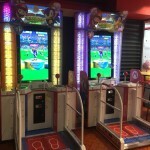 It was found in the Butlins holiday resort in Minehead (United Kingdom), so chances are it’ll soon find it’s way to other arcades around the UK. Titans Creed has promised to upload a video of the machine in action once he gets home, we’ll update you when that arrives. 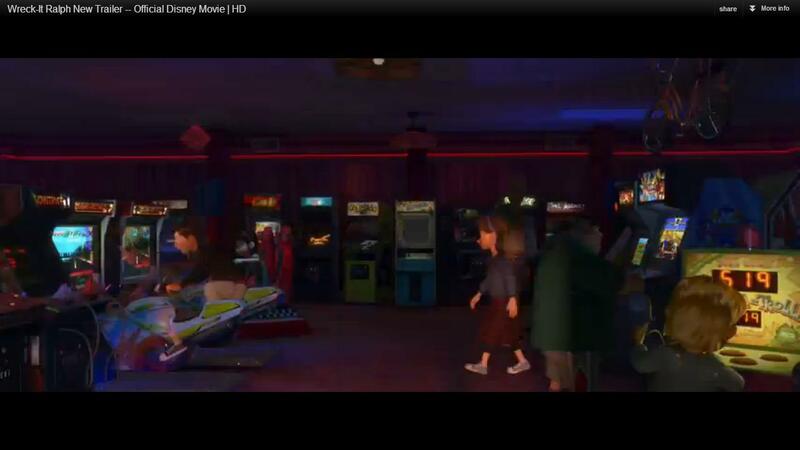 Disney UK released a new trailer for Wreck-It-Ralph last week and Sonic seemingly had little presence in it. 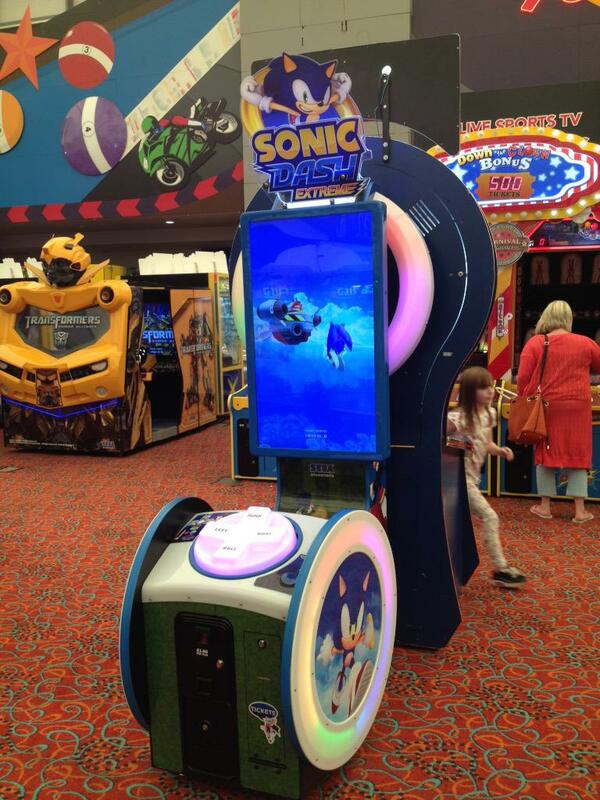 But now, thanks to keen-eyed TSS reader Setnaro X, we can see a Sonic the Fighters arcade cabinet amongst all of the others at the beginning of the trailer. As it’s so difficult to see without precise pausing, we’ve taken the above screen grab for your viewing pleasure. You can check out the trailer after the jump. 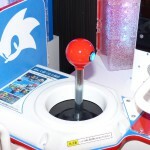 SSR DJ cdrom1019 recently visited SEGA’s Las Vegas GameWorks arcade and managed to grab some exclusive inside footage for TSS, something the management don’t normally allow but kindly made an exception for us. 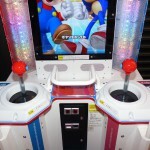 The photo’s and video are taken on a mobile phone camera so the quality isn’t great but those who have never been to a GameWorks or live outside the U.S. where they aren’t available should get a good glimpse of what’s on offer. 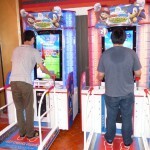 If reports going around indicating SEGA are closing all of their GameWorks arcades are true then this is a good time to take a look before they’re shut down and if you live near a GameWorks but have never been then maybe this tour will persuade you to visit while you still have the chance. 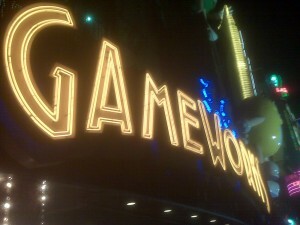 Big thanks to cdrom1019 for the coverage and thanks to GameWorks for allowing it!